This is a scalable context timeline. 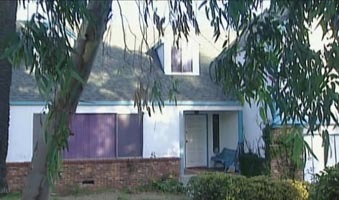 It contains events related to the event May 14, 1994: Future Hijackers’ Landlord in San Diego Becomes FBI Informant. You can narrow or broaden the context of this timeline by adjusting the zoom level. The lower the scale, the more relevant the items on average will be, while the higher the scale, the less relevant the items, on average, will be. Abdussattar Shaikh’s house in Lemon Grove, near San Diego. [Source: Fox News]While living with FBI informer Abdussatar Shaikh (see May 10-Mid-December 2000), 9/11 hijackers Khalid Almihdhar and Nawaf Alhazmi receive strange late night visits, as they did in their previous apartment in San Diego (see February 2000-Early September 2001). [Associated Press, 9/16/2001] The visits are seen by their neighbors. For instance, one neighbor says, “There was always a series of cars driving up to the house late at night. Sometimes they were nice cars. Sometimes they had darkened windows. They’d stay about 10 minutes.” [Time, 9/24/2001] The two hijackers are also reportedly visited by Mohamed Atta and Hani Hanjour at this time (see Mid-May-December 2000). Abdussattar Shaikh’s house in Lemon Grove, California. [Source: Newsweek]While 9/11 hijackers Khalid Almihdhar and Nawaf Alhazmi are living with FBI informer Abdussattar Shaikh in San Diego (see May 10-Mid-December 2000), they are apparently visited frequently by hijacker Mohamed Atta, as well as hijacker Hani Hanjour, according to neighbors interviewed after 9/11. [KGTV 10 (San Diego), 9/27/2001; Associated Press, 9/29/2001; Chicago Tribune, 9/30/2001; KGTV 10 (San Diego), 10/11/2001; Las Vegas Review-Journal, 10/26/2001] However, Shaikh will deny Atta’s visits and the FBI will not mention them. [Associated Press, 9/29/2001] Shaikh will also deny having met Hanjour, but the 9/11 Commission will say that it has “little doubt” Shaikh met Hanjour at least once. [9/11 Commission, 7/24/2004, pp. 518] The two San Diego-based hijackers also receive a series of mysterious late night visits at this time (see Mid-May-December 2000). Between July 20 and November 18, 2000, future 9/11 hijacker Nawaf Alhazmi receives 16 phone calls from someone living overseas named Ashraf Suboh. At the time, Alhazmi is living in San Diego, California, at the house of an FBI informant named Abdussattar Shaikh (see May 10-Mid-December 2000). Alhazmi apparently does not make any important calls using the phone in the house, and these are the only important calls he receives. It is unknown if Suboh is someone’s real name or an alias. The name will be discovered in a raid on an al-Qaeda safe house in Pakistan in May 2002. Suboh’s name and address will be discovered as part of a printout of an e-mail dated January 9, 2001. The 9/11 Commission will mention this in its 2004 final report, but it will not mention where Suboh’s address was or any other information about him. [9/11 Commission, 7/24/2004, pp. 535] The May 2002 raid is likely the same one where other information about the 9/11 hijackers is found, including passport photographs and other passport pages of hijackers Alhazmi, Khalid Almihdhar, and Abdulaziz Alomari (see May 16, 2002). Abdussattar Shaikh, an FBI informant who is also the landlord to two future 9/11 hijackers living in San Diego, California, learns that one of the hijackers is working illegally, but does not tell his FBI handler about it. 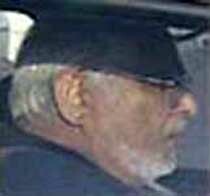 Hijacker Nawaf Alhazmi lives in Shaikh’s house from May to December 2000 (see May 10-Mid-December 2000), and fellow hijacker Khalid Almihdhar lives there until June (see June 10, 2000). In the autumn of 2000, Alhazmi begins working at a local Texaco gas station (see Autumn 2000). In a 2004 interview with the 9/11 Commission, Shaikh will say that he becomes aware that a local man named Mohdar Abdullah helped Alhazmi get a job at the gas station. Shaikh will say he is disturbed about this because he knows Alhazmi doesn’t have a work permit. He is concerned that the Immigration and Naturalization Service (INS) will hear about this, and that it will reflect negatively upon himself. He warns Alhazmi that he could be deported. But Alhazmi says he is not worried because Abdullah has been working at the gas station for some time with other illegal workers. Shaikh never tells his FBI handler Steven Butler about this, and apparently even asks Alhazmi not to discuss his employment at the gas station with him. [9/11 Commission, 4/23/2004] It will later turn out that both the manager and the owner of the gas station have already been investigated by the FBI about Islamist militant links (see Autumn 2000), and some of the other employees at the gas station, including Abdullah, may have foreknowledge of the 9/11 attacks (see Early 2000 and Late August-September 10, 2001). 9/11 hijacker Nawaf Alhazmi is helped by his landlord, FBI informant Abdussattar Shaikh, with whom he has been living for some time (see Mid-May-December 2000 and May 10-Mid-December 2000), to open an account with the Lemon Grove, California, branch of the Bank of America. Alhazmi deposits $3,000 to open the account. The origin of the $3,000 is unclear, as the last known cash injection Alhazmi received was five months earlier and totaled only $5,000 (see April 16-18, 2000). 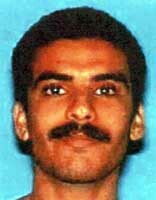 [Associated Press, 9/21/2001; CBS News, 9/27/2001] Hijacker Khalid Almihdhar had previously opened and closed a bank account in San Diego (see February 4, 2000). 9/11 hijacker Nawaf Alhazmi tells two associates, Mohdar Abdullah and FBI informant Abdussattar Shaikh, that he has re-entered flight training, but it is unclear if this is true. He calls Abdullah twice in December 2000/January 2001, initially saying that he is in San Francisco and will have flight training there, but he later says that he has moved to Arizona and both he and hijacker Hani Hanjour are in flight training. He also calls Shaikh to say that he and Hanjour are to have flight training in Arizona. Alhazmi lived with Shaikh for several months, but moved out in the middle of December (see May 10-Mid-December 2000 and December 12, 2000-March 2001). [Miller, Stone, and Mitchell, 2002, pp. 276; 9/11 Commission, 7/24/2004, pp. 223] Hanjour is known to undergo flight training in Arizona at this time (see January-February 2001 and February 8-March 12, 2001). There is no known public record of Alhazmi training to be a pilot at this time, although there is other evidence Alhazmi trained to be a pilot (see November 25, 2007).